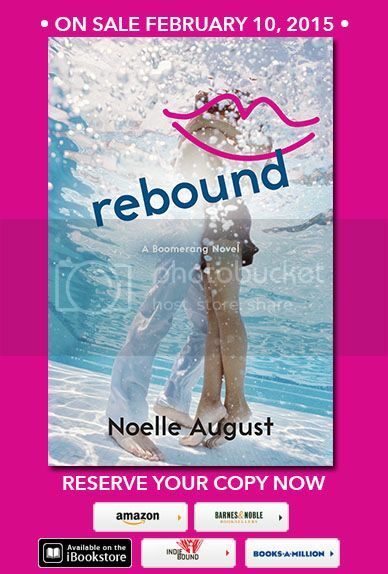 I'm super excited to be taking part in the cover reveal for Noelle August's 2nd book in the Boomerang series: Rebound! AHHHH!!! People, this book is FANTABULOUS! I promise you! If you liked the first book, hold on to your seats, because this one blows it out of the water!